I love chocolate and I love scones. 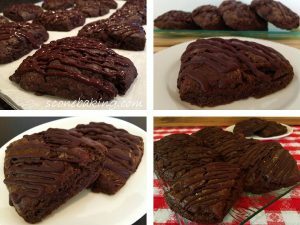 So I put them together in my yummy Chocolate Brownie Scones. 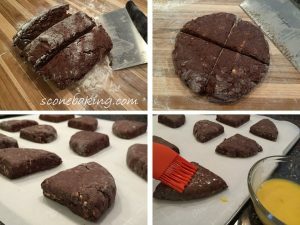 These rich in chocolate scones have cocoa powder, melted bittersweet chocolate, and chocolate syrup. And, to enhance that rich chocolate flavor, I add a little espresso powder. 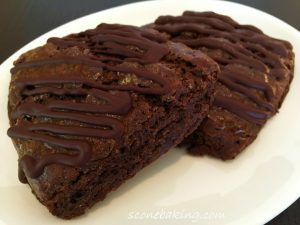 Chocolate Brownie Scones are quick and easy to make, and will make for an anytime of the day chocolaty treat. 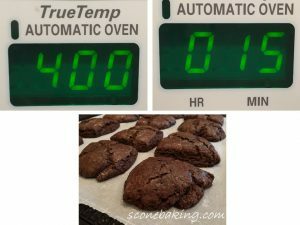 Preheat oven to 400ºF. Grate butter and put in freezer. 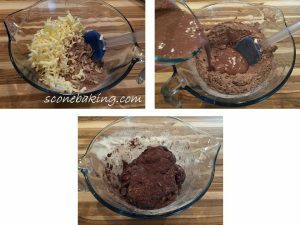 Meanwhile, in a large mixing bowl combine both flours, cocoa powder, sugar, baking powder, baking soda, and salt; set aside. 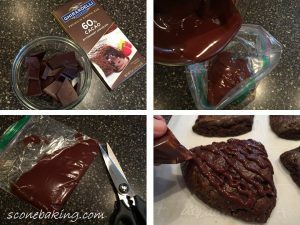 Melt 2 ounces bittersweet chocolate in microwave, stirring every 30 seconds. Stir espresso powder into melted chocolate. 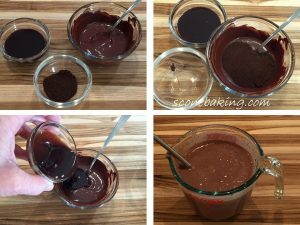 Stir chocolate syrup into melted chocolate-espresso mixture. Whisk melted chocolate mixture into buttermilk until it looks like chocolate milk; set aside. 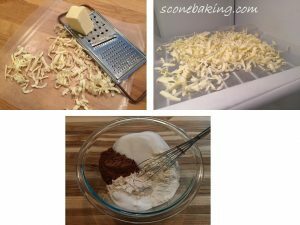 Add frozen grated butter to dry ingredients, stirring until all butter is covered by flour mixture. 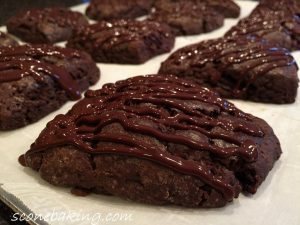 Add chocolate-buttermilk mixture to flour-butter mixture, stirring until just combined (do not overmix). Place dough on a heavily floured work surface, pat into a square. Roll out dough into a 12-inch square. Fold into thirds, and then fold into thirds the other direction (you should have a square dough). Place square dough on a flour plate and put in the freezer for 5 minutes. 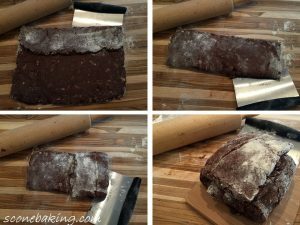 Cut square dough into 3 equal pieces. Pat each piece into a circle, approx. 5″ x 3/4″ thick. Cut each circle into 4 pieces. Place 1-1/2″ apart on a parchment-lined baking sheet. Brush tops with slightly beaten egg. Bake at 400ºF. for 15-18 minutes. Do not overbake. Cool on cooling rack. Melt remaining 4 ounces bittersweet chocolate in microwave, stirring every 30 seconds. 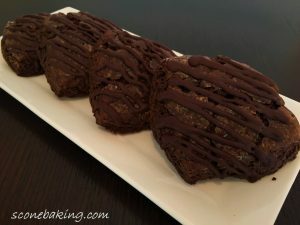 Pour melted chocolate into sandwich-size ziplock baggie; snip off corner; then drizzle melted chocolate on cooled scones.